Do you have a home water damage in Midtown Manhattan? Midtown Manhattan water damage can come in many forms but result is the same outcome. Damaged property, stunt of schedule and money loss. 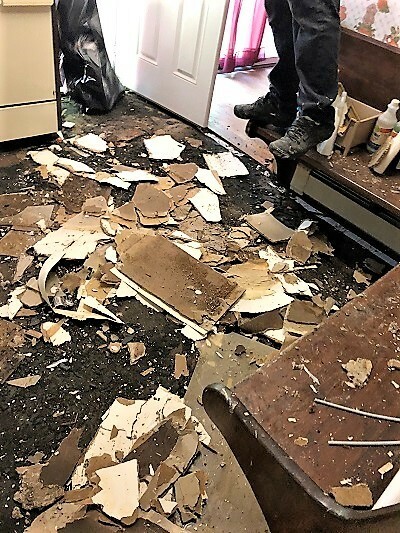 Water damage happens when water intrudes into a non-water surface, causing damage to plywood, walls, tiles, furniture and much more. Midtown Manhattan, which includes, Hell’s Kitchen, Clinton, Theater District, and Chelsea are located in the central part of New York City. This part of the city has a mix of residential areas and commercial businesses. Tall buildings mark the expanse of the city blocks, with a high density of people concentrated in small sections. This area is also prone to constant construction work. Midtown Manhattan is definitely a busy part of the city! When the pipes that are connected to the sewage ruptures it can cause an unfortunate odor. This contaminated water carries feces and other materials that have a host of bacteria. Depending on the severity of the leak, doing it yourself might not be possible. Calling water damage specialists is the best solution, not only to clean the area correctly but to save you money in the long run. With any home or business there are sinks. These drain system can be weighed down when foreign objects get put in there, such as hair, paper towels, toys, etc. This can cause a clog, that could possibly be handled on your own. But if it keeps happening often, a licensed professional is the best fit for the job. Believe it or not, a burst pipe can be difficult to spot until it’s too late. Some tips can help though. If you notice a small spray of water whenever you flush or turn on the faucet– a burst pipe is on its way. If there is an unusual noise whenever the dishwasher or washer is on–a burst pipe is on its way. If things are not going down as fast they should–a burst pipe is on its way. Midtown Manhattan water damage can be fixed with a professional team that’s dedicated to getting your home in prime condition. Here at Water Removal NYC, we know that restoring your home or business is top priority! Water Removal NYC has been serving the community for over 25 years, and we know all about Midtown Manhattan water damage. Before any project, we thoroughly inspect the surface and provide you with a free estimate with a detailed step by step restoration plan. We know that the job is not done after water restoration, that’s why we have fully comprehensive reconstruction plan, this way preventing any future flood damage. We are open 24 hours a day, 7 days a week with a rapid response time of 30 minutes or less. We want to be that water damage team that you can trust. Midtown Manhattan water damage doesn’t have to be something that seems daunting. Water Removal NYC is well equipped for all work. That’s including preventing mold and mildew growth and purification of the flood zone air quality.